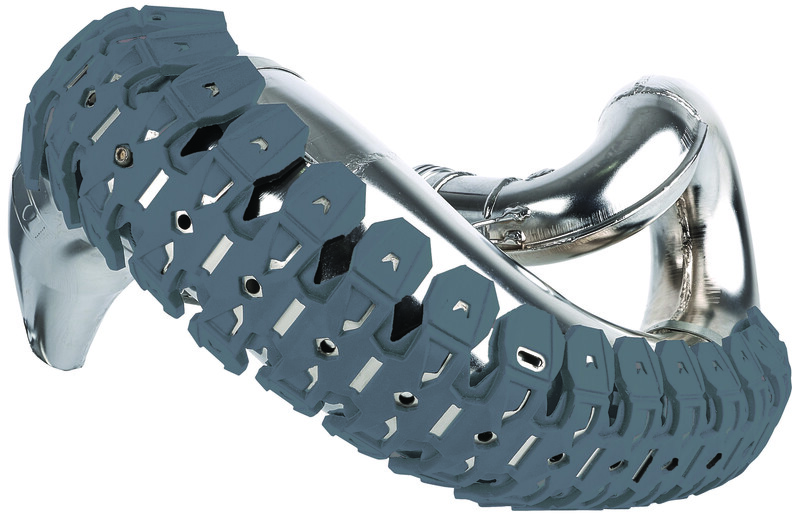 Armadillo is a new generation of pipe guard that blends stainless steel and silicone to provide the best protection to the two-stroke pipes. The use of elastomer reduces vibration noises and it is resistant to high temperatures. The mounting system makes it easy to install and disassemble the protection when cleaning, using only three brackets to assemble the part on the pipe and, after that, you only need to tighten and loosen three bolts. The protection is flexible in order to adapt to your pipe’s shape. Armadillo is a universal protection for the two-stroke bikes is abrasion and impact resistant, includes all the hardware and is available in brand colors.